A traditional shirt with comfortable wear by Krüger-Dirndl. 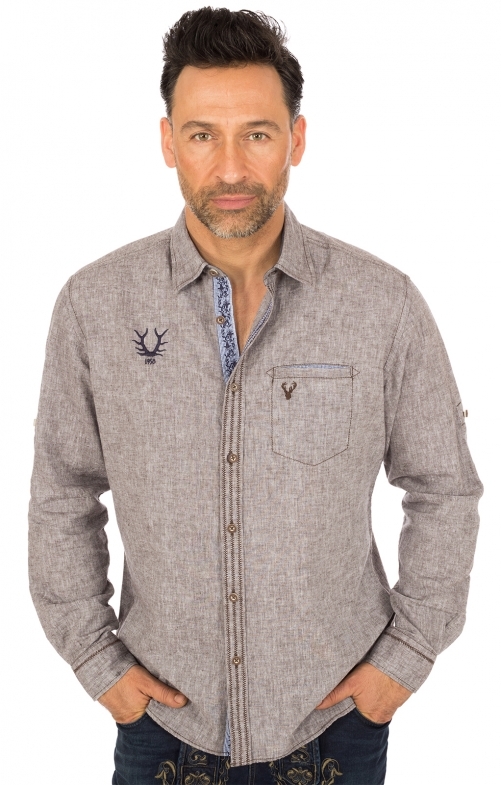 This men's shirt in linen look is easy to wear and impresses with its elegant blue embroidery in the button placket, which also harmonize well with the natural colour brown. This modern traditional shirt fits not only to a leather trousers but also to the new style - jeans outstanding. Sehr freundlicher und kompetenter Kontakt. Produkt ist qualitativ und auch preislich völlig ok.